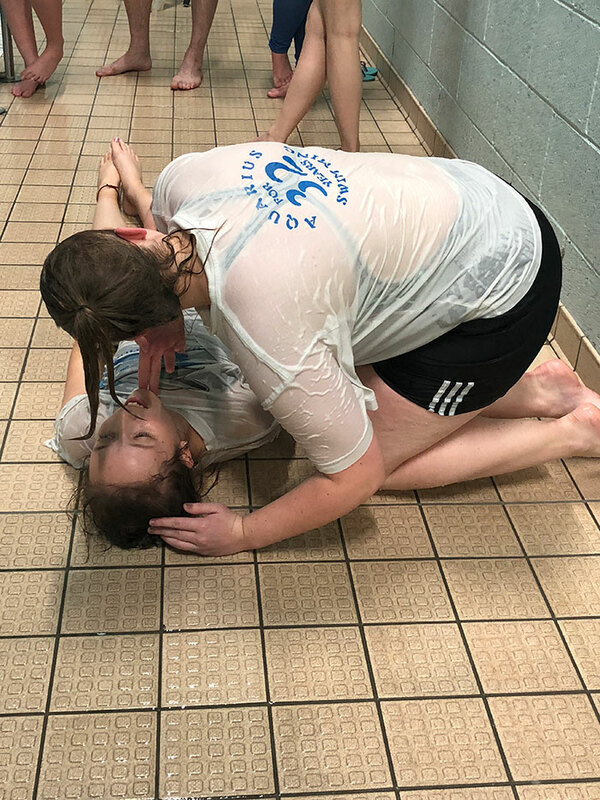 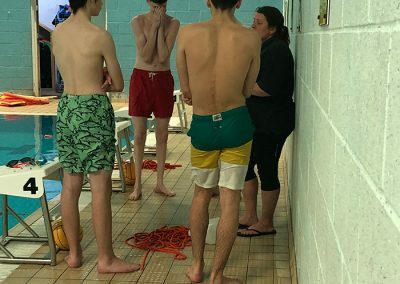 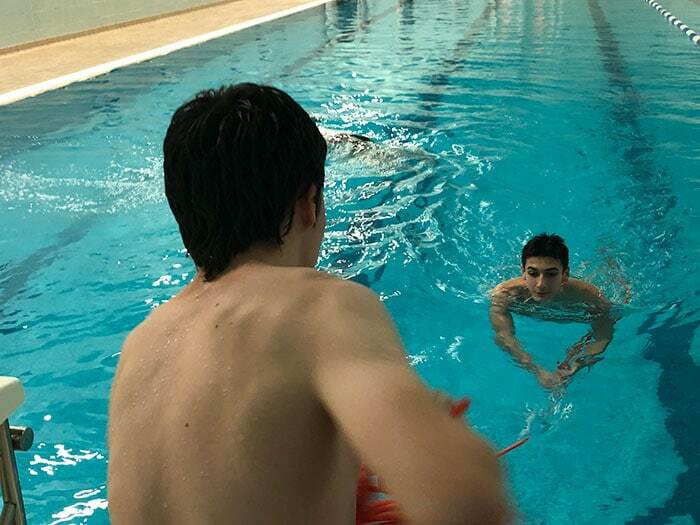 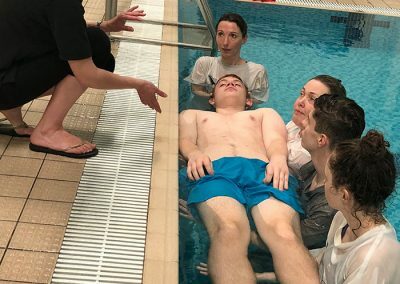 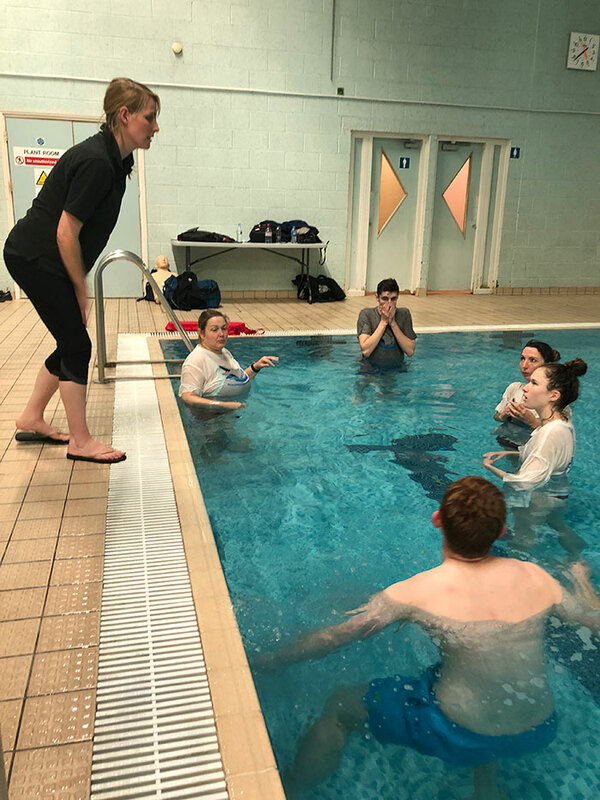 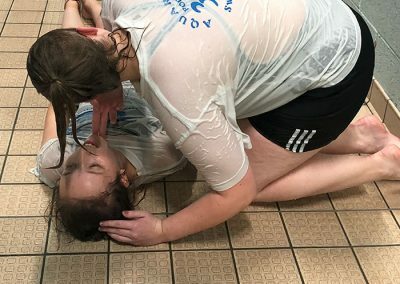 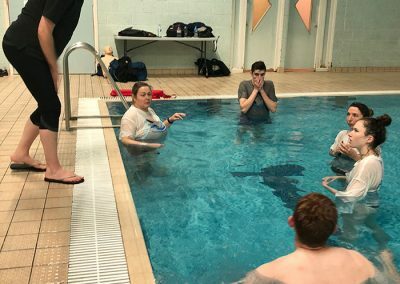 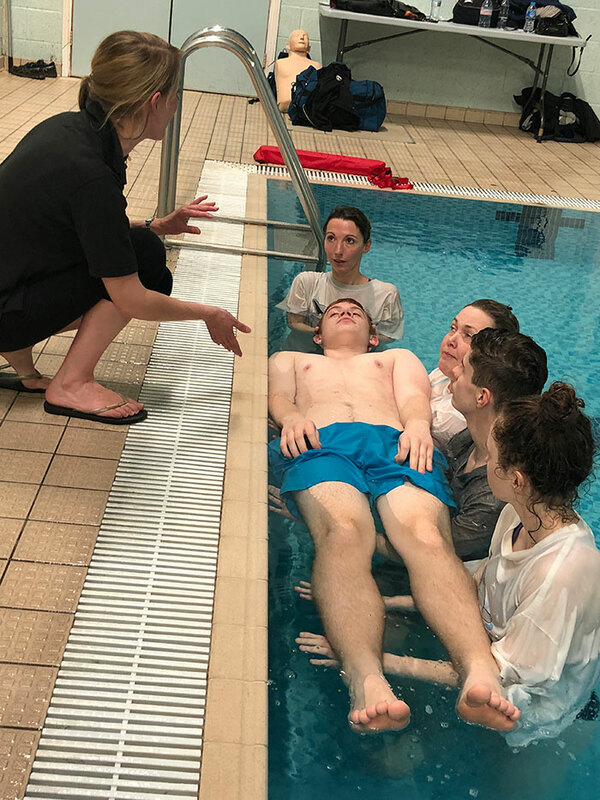 As a part of continuous professional development our staff undertake pool and dry side lifesaving training. 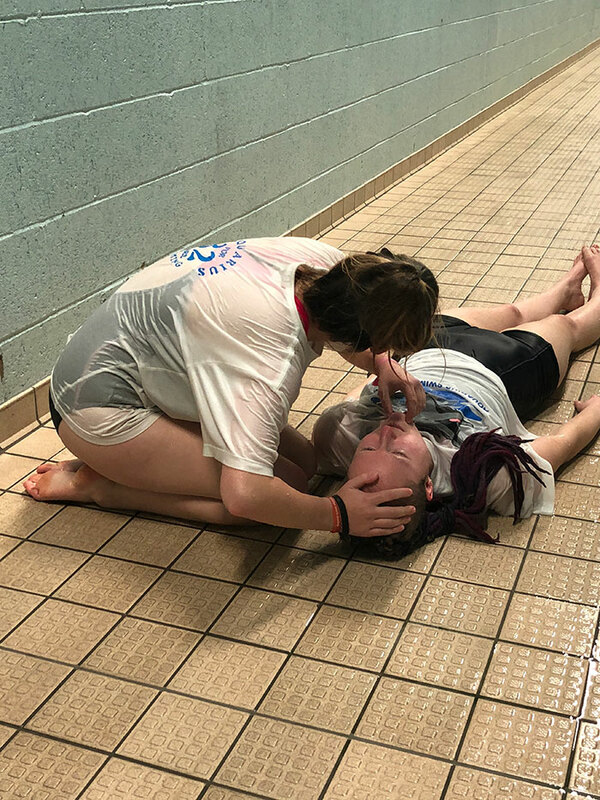 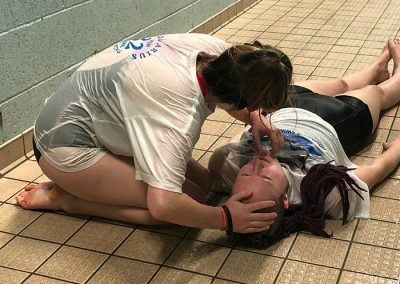 It’s fun as well as a serious part of our work and ensures that all our Teachers have regular contact with our own Lifesaving Trainers. 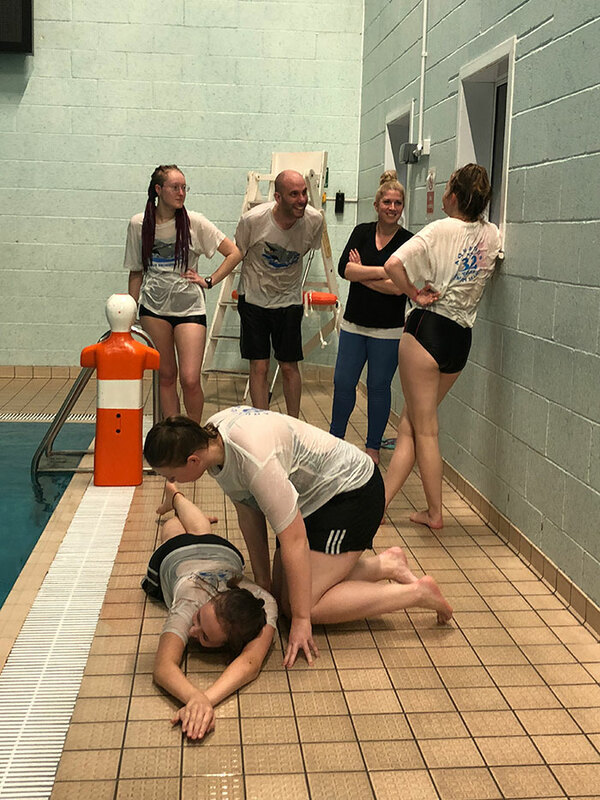 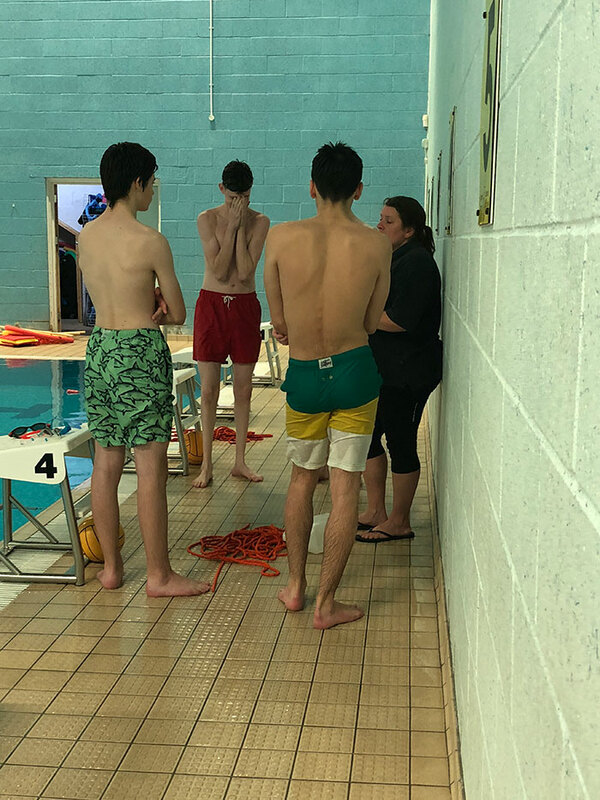 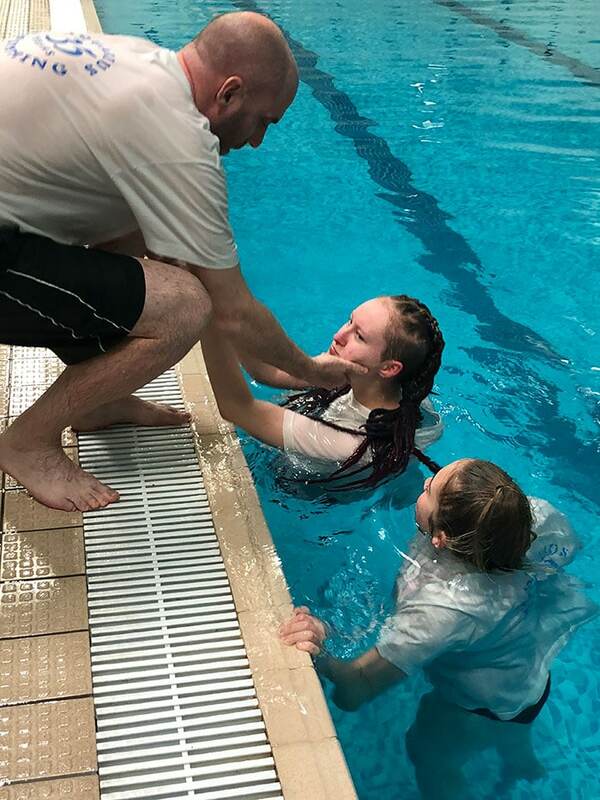 Seen here are a group of Aquarius Swimming Club teachers being put through the skills by Cathy, Charlotte and Kate.